The Law Enforcement Merit System Council adopts rules for all Arizona State Agencies that have a AZPOST certified full-authority police officer in a covered position that requires the certification, in regards to the procedures for the conduct of appeal hearings connected to suspension, demotion, reduction in pay and loss of accrued leave of covered employees. The Law Enforcement Merit System Council consists of five members nominated by the Governor and confirmed by the Senate to serve three-year terms. Members are chosen on the basis of experience in and sympathy with merit principles of public employment. 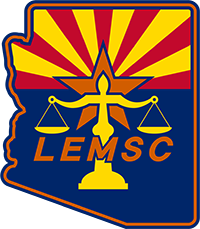 For Instructions to call in for a telephonic meeting, call the LEMSC office at (602)223-2286 or email the LEMSC office at [email protected]. The appropriate call in number and access code will be provided. The Law Enforcement Merit System Council’s current rulemaking activity is provided pursuant to Arizona Revised Statute 41-1021.02 to allow the public to view all proposed rulemaking as well as final rulemakings that either become effective at a future date or have not been published in the Arizona Administrative Code. The LEMSC Rules on Appeals are in the process of being updated. Please call the LEMSC Office for guidance about Appeals and their process. The Law Enforcement Merit System Council adopts rules for the Department of Public Safety, the Arizona Police Officer Standards and Training Board and for all Arizona State Agencies that have AZPOST certified full-authority police officers in a covered position that requires the certification. Procedures for the conduct of appeal hearings connected to termination, suspension, demotion, reduction in pay and loss of accrued leave can be found in the applicable section of LEMSC Rules. 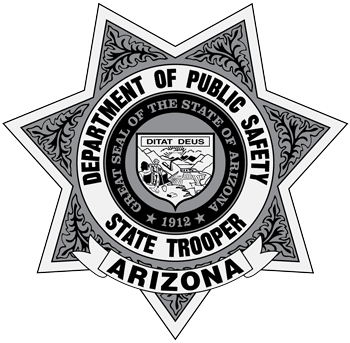 The Law Enforcement Merit System Council also adopts rules for the Department of Public Safety and Arizona Police Officer Standards and Training Board with regards to: Classification and Compensation; Employment; Assignments; Employee Leave; Grievances; Separation from Employment; and Retirement System Eligibility.